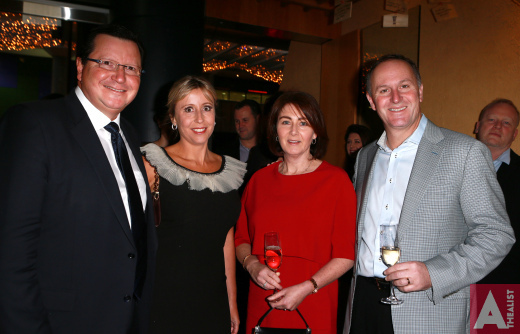 John Key – we will not be held to ransom! Our Leader was not for turning. Key does not cave in to pressures. Along with $34 million of taxpayer’s money paid over to Warner Bros, the National government passed legislation changing the status of Jackson’s workers from employees, to “contractors”. This lessened the working-conditions of people working throughout New Zealand’s movie industry. The employment law changes passed through Parliament within forty eight hours – a feat unheard of in New Zealand’s political process. 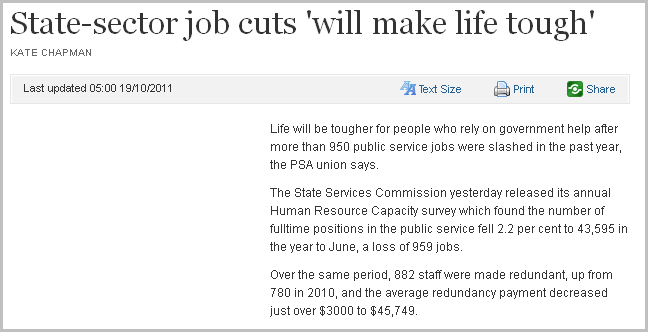 Unions, workers, and the public had no say in the matter. So the sovereignty of New Zealand’s Parliament was not ransomed by Warner Bros to gain $34 million plus a change in our labour laws? Mining giant Rio Tinto has rejected the Government’s offer of a short-term subsidy to continue running the Tiwai Point aluminium smelter. Instead, it has gone back into negotiations with electricity supplier Meridian to try and get a better deal. If no deal is made, Prime Minister John Key says the smelter, 79 percent owned by Rio Tinto and 21 percent owned by Japanese company Sumitomo, could be shut down in about five years. So the jobs of eight hundred jobs in Southland were not ransomed by Rio Tinto to gain $30 million plus cheaper electricity rates? John Key says his government will not pay ransom to extortionists? His track record proves otherwise. 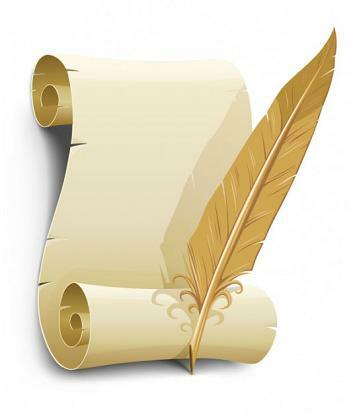 Letter to the Editor: Simon Bridges is a very naughty little boy! panels on 30,000 New Zealand homes. than normal, it must involve a government subsidy." power which National re-negotiated last year? owners - not tax payers. of the Rings" and another $60 million for "The Hobbit". We won't be seeing that money back again any time soon. How the use of solar energy is going to "reduce competition"
but bizarre in the extreme. possible excuse to dismiss the Green's policy initiative. Green's plan involves loans, not grants. both  subsequently made billions in profits. To create a local investment fund from which business could borrow, so we were not so desperately reliant on foreign capital. Our Aussie cuzzies currently have A$1.3 trillion-dollars invested in their compulsory savings funds. To give New Zealanders – especially baby-boomers – a better standard of living upon their retirement. 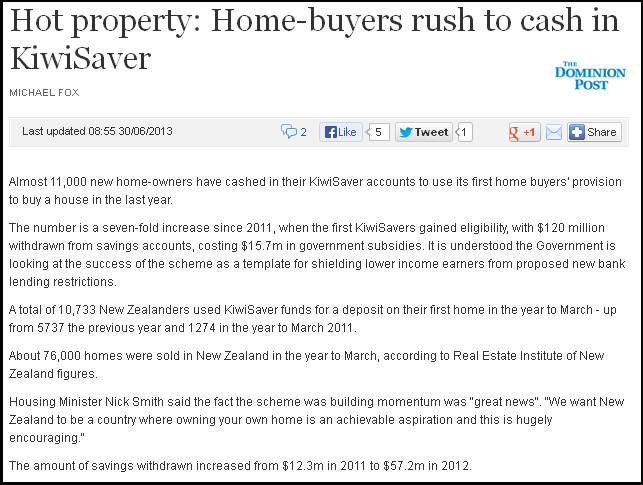 In July 2008, Key promised not to interfere with Kiwisaver – “there won’t be radical changes…there will be some modest changes to KiwiSaver” – and like most of his promises, they are blown in the wind. And long term: promote regional development to take pressure of Auckland and other highly urbanised areas. But the Nats won’t do any of this. That would involve systematic State planning on a level that Key and his cronies would never countenance. It would fly in the face of their right wing ideology for minimal State involvement in housing and other economic activities. 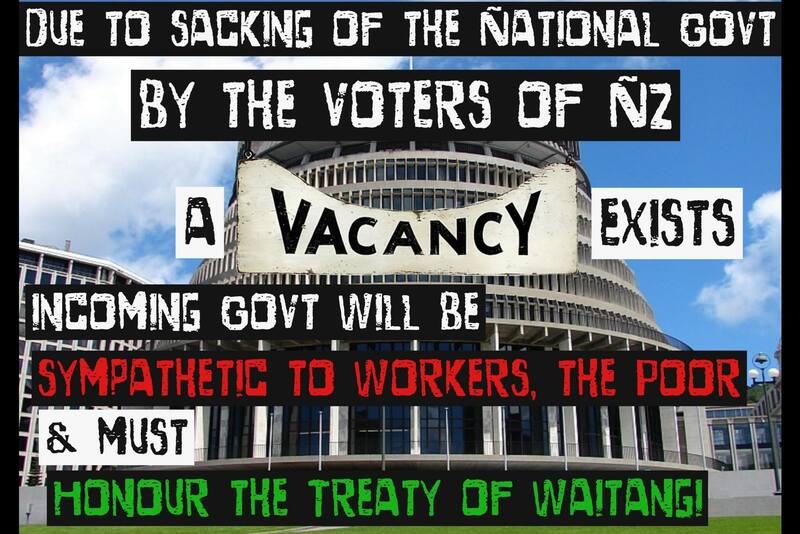 The only thing National is capable of is short term, self-serving policy-changes. Never mind that such changes create long term harm to our economy and social fabric. 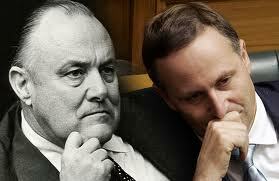 Gutting Kiwisaver is economic sabotage – much like Muldoon did in 1975 (see: Brian Gaynor: How Muldoon threw away NZ’s wealth). It’s fairly obvious what National thinks of New Zealanders who find themselves on the welfare safety net. Especially when those on welfare are there because of a global financial crisis brought on by unfettered, laissez-faire capitalism (aka naked greed) hitting a wall, and sending economies worldwide deep into recession. But never mind. National has an answer for such dire events. Even as National continues to persecute, demonise, and blame the unemployed, solo-mothers (but never solo-dads), invalids, widows, etc, for their lot in life (because as we all know, the unemployed, solo-mothers (but never solo-dads), invalids, widows, etc, were directly responsible for the Global Financial Crisis that began in Wall Street’s boardrooms) – John Key and his cronies continue to lavish truck-loads of tax-payers’ money on corporate welfare. Mr O’Reilly may well complain. But he is unfortunately too late. On the morning of 3 July, Dear Leader John Key announced that the 2015 postponement (of elements of the ETS) had formally become an “indefinite postponement” (ie; gone by lunchtime on that day). Yet that hasn’t stopped National from levying ETS on the public. No fears there, evidently, of impacting on the pockets of ordinary Kiwis, and in effect, susidising farmers to the tune of $400 million per year since 2009. 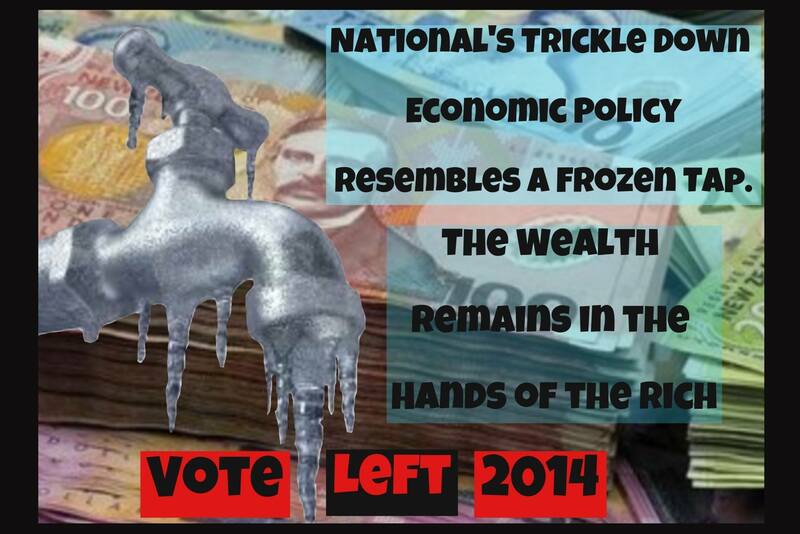 In effect, this is a transfer of wealth from ordinary taxpayers to polluters [edited]. After all, what else can it be called when the public have to pay for an ETS – but farmers, industries, coal & oil companies, etc, – the very groups that produce CO2 and methane – are exempt? National’s “committment” to reducing greenhouse gas emissions has gone up in smoke and carbon dioxide. from the ETS during CP1 while being responsible for 30% of total emissions. emitters would gain a $488 million subsidy (at a carbon price of $30/t). ” The Sustainability Council requested a copy of those projections eleven weeks ago. – late in the afternoon and with much of the key material blanked out. not giving you the figures for the past four years of the ETS either”. Ongoing subsidies to polluting industries, with said subsidies paid by you and me, the taxpayer. Secrecy surrounding future ETS agricultural, deforestation, and fossil fuel emissions. Constant deferring of including polluters in a scheme that was designed specifically for dirty industries and farming practices. Importation of unlimited, cheap, foreign carbon credits. 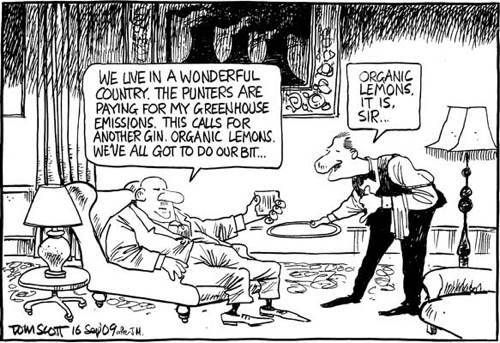 It seems a crying shame (as well as a fair degree of sheer madness) that we are paying subsidies to industry – whilst not offering the same deals to the generation of renewable energy and further research into renewable energy options (wind, solar, tidal, etc). This is the inevitable result of electing a corporate-friendly political party into government. So, if you’re a private company offering to train someone a course in “xyz” – expect a hand-out from a corporate-friendly National. ” Early childhood education subsidy cuts worth tens of millions of dollars are likely to be passed on to some parents through increased fees. Education Minister Hekia Parata has kicked a total revamp of ECE funding into a future Budget, opting instead to stop cost increases to the Crown by cancelling the annual upward inflationary adjustment in rates. The subsidy freeze takes effect on the next funding round, stripping about $40 million out of ECE payments to 5258 ECE centres. About 1427 of those centres are eligible for “equity funding,” however, and will get a boost through $49m extra directed to them over four years in a bid to enrol more children from the lowest socio-economic parts of the country. For a Party that advocates the “free market”, it certainly seems odd that they’re willing to throw bucketloads of our taxes at businesses such as private schools. After all, what is a private school, if not a profit-making business? And don’t forget Charter Schools – which is the State paying private enterprise/institutions to run schools – whilst making a profit (at taxpayer’s expense) in the process. Why don’t exporters get this kind of support? … in answer to parliamentary written questions, the Prime Minister said he had “no meetings” with representatives of MediaWorks to discuss the deal. Two days later that answer was corrected, saying he “ran into” Brent Impey at a “social event” in Auckland where the issue was “briefly raised” and he “passed his comments on” to the responsible minister. “Nobody’s arguing that being a manufacturer isn’t challenging. In fact, in my history in business, every time you’re in business it’s challenging. Not very helpful, Mr Joyce. 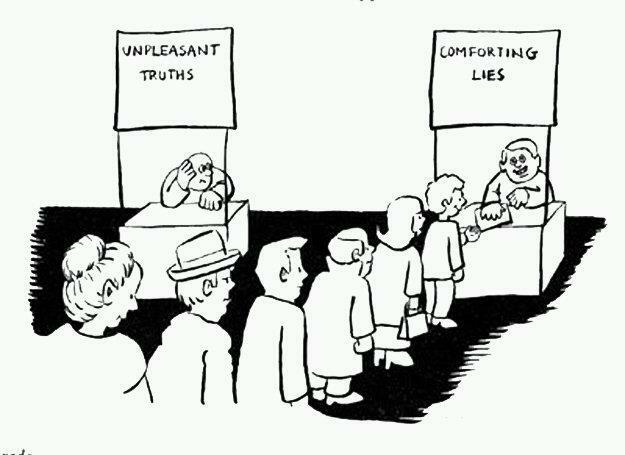 Though Opposition Parties may appreciate that you are pushing your core constituents into their waiting arms. That’s how you alienate your voter-base. Prime Minister John Key today announced a $15 million grant for an upgrade of Christchurch’s AMI Stadium for the Rugby World Cup in 2011. Dunedin Mayor Peter Chin says he is “chuffed” the Government will contribute up to $15 million to cover shortfalls in private sector funding for the $198 million Otago Stadium project. The Government blew out a $10 million budget to host VIPs at the Rugby World Cup – even though just a handful of foreign leaders attended. An extra $5.5 million will be spent on the Rugby World Cup to make sure there’s not a repeat of the chaos that unfolded on the evening of the tournament’s opening ceremony. Including the $350m spent to upgrade stadiums and provide IRB-approved facilities around the country and millions more pumped into infrastructure and preparations, the bill for the tournament has easily surpassed the $400m mark. The message is crystal clear; National will subsidise rugby games and yacht races. But don’t expect help if you discover you have a rare disease. After Jackson made public noises in October 2010 that ‘The Hobbit’ could be taken offshore, there was a kind of mass-hysteria that pervaded the country. Warner Bros wide-boys jetted down to meet Dear Leader, who kindly supplied a taxpayer-funded chauffeured limousine to bring the Holloywood execs to Parliament. Dear Leader said “no more subsidies”. Can we have our money back now, please? Funny isn’t it. Pro-business lobby groups always complain about State intrusion into the market place… Except when subsidies are being handing out. One wonders why, if the Free Market” is more efficient than the State, that $1.5 billion in taxes has to be paid to private telcos to do what that they should already be doing. Which National is now preparing to part-privatise. Meanwhile, back in the Real World! Which means that National’s “reforms” to push 46,000 of welfare is not just a meaningless exercise (the jobs simply aren’t there) – but is actually a political smokescreen to hide their own incompetance at forming constructive policies for job creation. 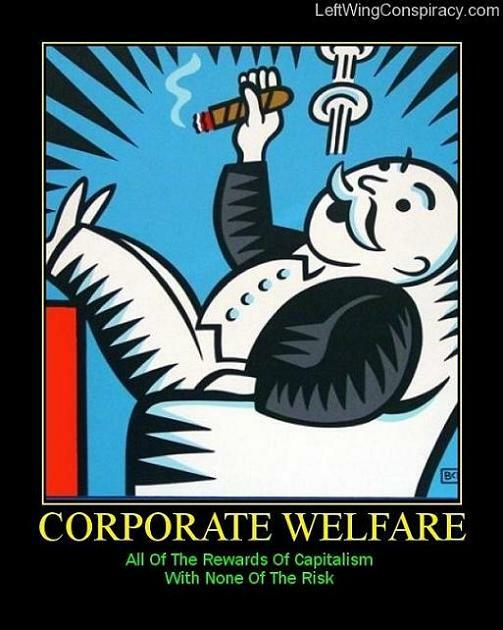 Let’s start by posing the question; why is welfare for corporations supposedly a good thing – but welfare for someone who has just lost their job, supposedly bad? That’s what we need to keep asking the Middle Classes. Eventually, they’ll start paying attention. This blogpost was first published on The Daily Blog on 8 March 2013. 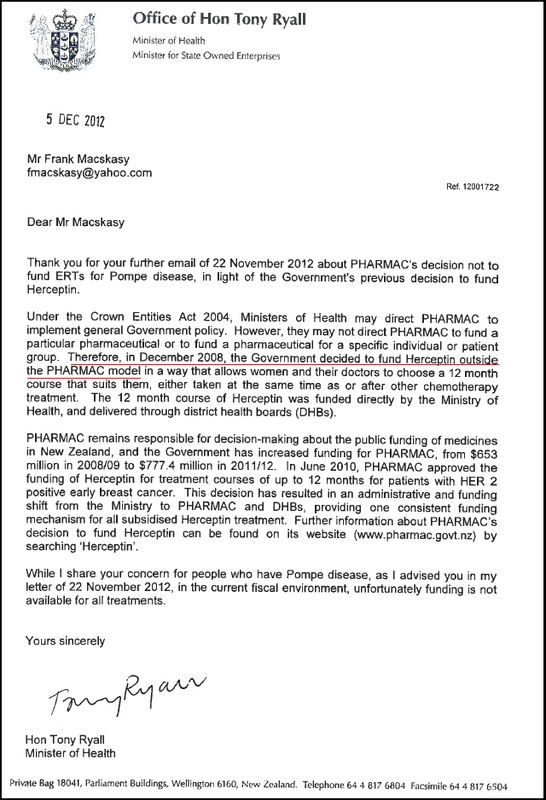 Scoop: Where’s National’s ‘corporate welfare’ reform?